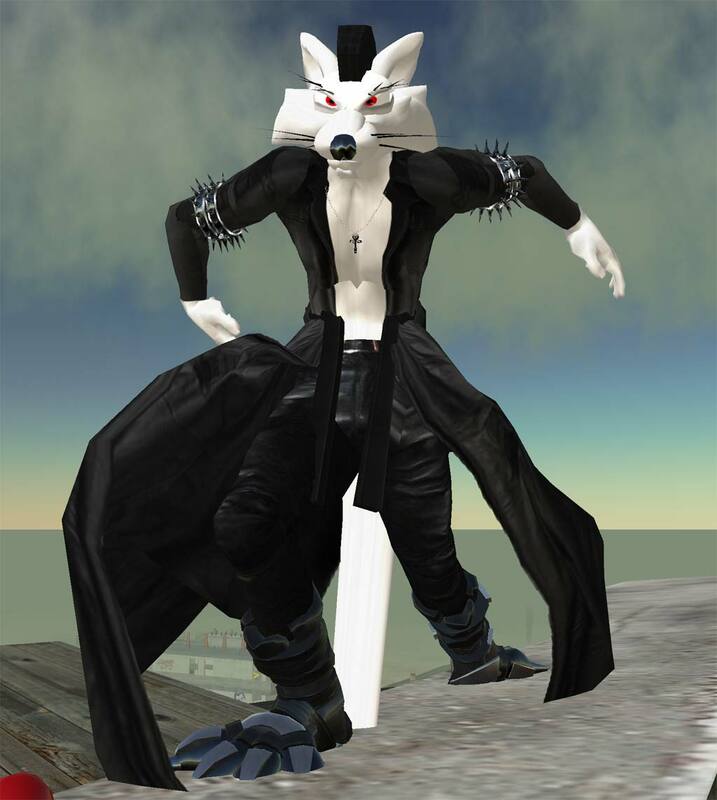 This sable avatar was my first attempt as trying out the new ‘sculpt’ technology in Second Life which made his debut around mid 2008. 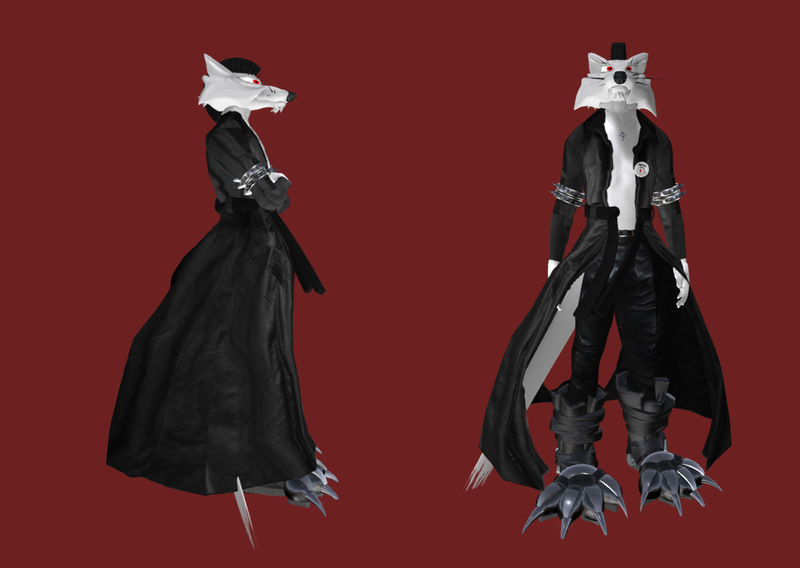 Sculpted prims worked by using the RGB values of an image as a 3-d object and letting the 3-d engine interpreting the data on the server side. When Second Life first marketed sculpted they claimed that you could simply port your 3-d objects right into secondlife. Which wasn’t entirely true! you had to break your 3-d object down into easier conformed shapes otherwise your sculpted prim would end up with either too little detail (Maximum of 1024 verts per sculpted prim) or just plain warped beyond recognition. Semi-Completed sculpted avatar with sculpted boots. Action shot of the avatar.